Francisco Kjolseth | The Salt Lake Tribune A voter drops her ballot at an official ballot drop box that doesn't need a post date at the Salt Lake County complex on Election Day, Tuesday, Nov. 8, 2016. Three lucky state legislators have essentially clinched their re-elections before a single vote is cast. When the candidate declaration deadline struck at 5 p.m. last Thursday, no one bothered to file against them. “It gets in the way of fundraising efforts,” joked one of the fortunate trio, House Minority Leader Brian King, D-Salt Lake City. The others are Reps. Adam Robertson, R-Provo, and Travis Seegmiller, R-St. George — who both were appointed this year to fill midterm vacancies. In 2016, five times as many legislative races were unopposed: 15. That amounted to 1 of every 6 races that year, instead of this year’s 1 of every 30. Democrats say this time around they were far more successful in recruiting candidates and have Republicans to thank for that. 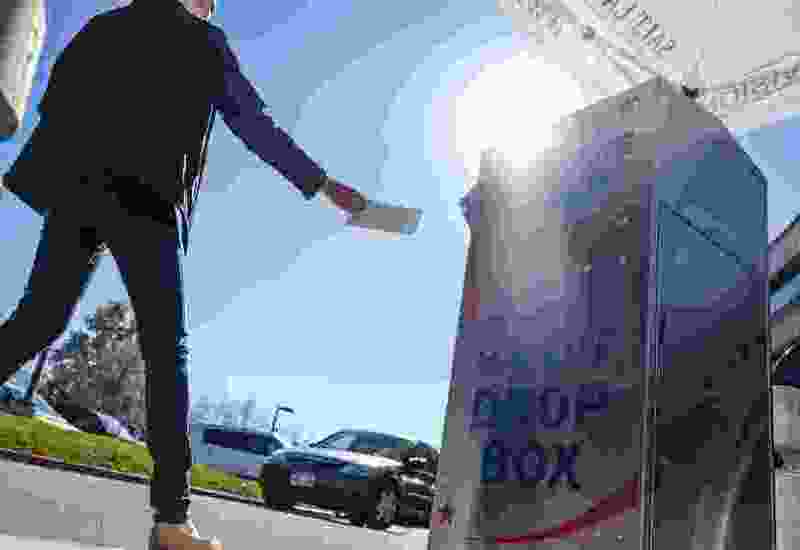 “The potential that Republicans could get kicked off the ballot did have a lot to do with it,” says Alex Cragun, executive director of the Utah Democratic Party. That possibility arose when an ultraconservative minority of the GOP State Central Committee recently forced through a rule change to expel candidates in some races if they chose to qualify for the ballot by collecting signatures. Conservatives hate the signature-gathering path to the ballot because it diminishes the power of the party and its convention delegates, who tend to be more right-wing. Democrats and the United Utah Party said the new Republican bylaw violates state law, and called for Lt. Gov. Spencer Cox to decertify the party and possibly keep it off the ballot. Utah Republican Party Chairman Rob Anderson, however, said he will ignore the new bylaw because it is illegal, and hopes that will avoid sanctions against the party — although the dispute could draw lawsuits. Cragun said the possibility of seeing no Republicans on the ballot made it easier to persuade Democrats to run. “We wanted to be prepared for that. If they are unable to govern, then we need to be there ready to pick up the pieces,” he said. State records show that Democrats fielded candidates in all five federal contests — the U.S. Senate race and all four House elections. At the state level, 104 Democrats filed in 78 of this year’s 90 legislative races. That is the most in at least a decade, said Cragun, and includes more women, younger candidates and people of color. In comparison, 150 Republicans filed in legislative races, as did 15 members of the United Utah Party, 14 Libertarians, seven for the Independent American Party, four for the Constitution Party and two who are unaffiliated. King said Republicans provided another motivation for Democrats to run this year. “Democrats are more alarmed/dissatisfied/energized by what they see at the federal and state level in terms of unmasking the Republican agenda politically,” he said. In short, they want to fight President Donald Trump and his conservative allies. (Chris Detrick | The Salt Lake Tribune) Rep. Brian King (D-Salt Lake City) listens during a House Judiciary Standing Committee meeting at the Utah Capitol Tuesday, Jan. 30, 2018. There’s another reason for fewer unopposed seats this year: Fewer incumbents are seeking re-election. Because the success rate of incumbents is so high, their absence makes running more enticing. This year, 22 legislative races are open seats with no incumbent — about 1 of every 4. Some incumbents chose to seek higher office. For example, Rep. Mike Kennedy, R-Alpine, is running for the U.S. Senate. Running for the state Senate are Reps. Dan McCay, R-Riverton; LaVar Christensen, R-Draper; Keith Grover, R-Provo; and Scott Sandall, R-Tremonton. Some lawmakers are retiring because of age, such as 80-year-old Sen. Pete Knudson, R-Brigham City. 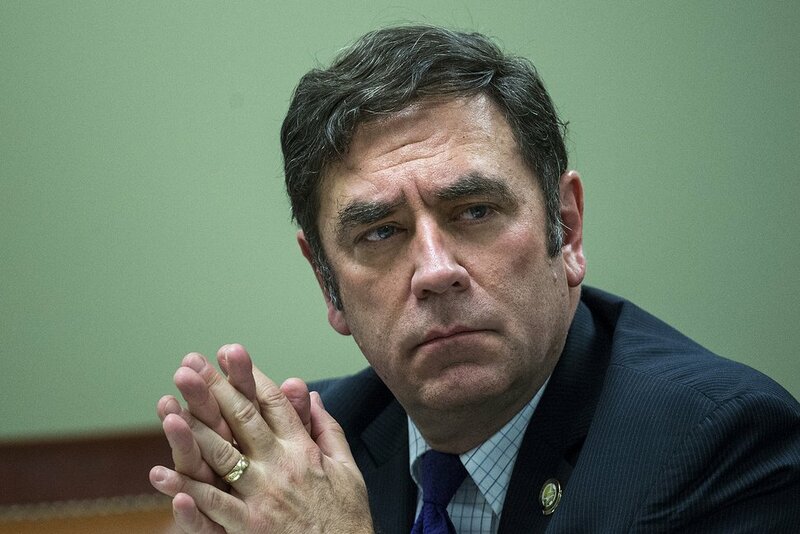 Some simply decided it was time to move on, such as House Speaker Greg Hughes, R-Draper (who is expected to run for governor in two years), and Senate President Wayne Niederhauser, R-Sandy. But King speculates that some of his colleagues may have dropped out because, again, of Trump and a brand of politics they may not support. “I think there is a dispirited feeling among Republicans today with the direction that party is taking,” he said. Robertson, one of the lucky unopposed candidates, disagrees. “Many Republicans believe that serving in the Legislature is something you do temporarily,” he said. “Go in. Do some good and get out. There are other good people who can serve the people well.” He said in his discussions, that philosophy likely led many to move on. Even with better recruitment this year, Democrats still ran no candidates in 12 legislative races. The contests Democrats are sitting out include the House seats of the two unopposed newcomers, Seegmiller and Robertson; three open seats — House Districts 73 and 57, where Reps. Mike Noel, R-Kanab, and Brian Greene, R-Pleasant Grove, are retiring; and House District 61, where Provo Republican Grover is forgoing re-election to run for the Senate.